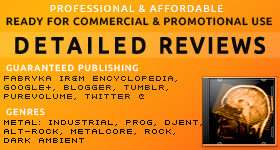 Fabryka Industrial Rock & Metal Encyclopedia's (formerly Fabryka Music Magazine) review and interview services have been paid services since April 26th, 2011 (*why they're not free, read about at the bottom of this page). These are handled by Katarzyna 'Draconina' Górnisiewicz, the magazine founder and CEO. I'm a pro reviewer, a music journalist, but not a business promoter. I offer extended, honest and professional music reviews as well as interesting and original interview questions. Both are written specifically for bands/labels' promotional purposes, to be included in your presskits, online stores, shared online etc. and to underline what's best in your music. However, if I hear there's anything which could still be improved to give it the best musical expression (usually a performance, production, mastering), I won't forget to mention it in the review too. Submissions: Please make sure you read which genres I can review. Email me a link where I can stream exact songs, along with your contact email and don't attach mp3s unless requested. When I decide I can positively review your music, I will contact you and we'll process with the review order. If I don't like your music, I'll shortly explain why it doesn't qualify for a review. It is nothing personal but a matter of an experience and a bit of a personal taste to deliver the most reliable judgment. 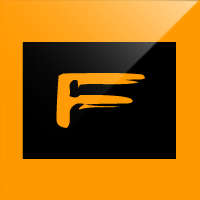 Very few reviewers offer such a good deal - every detailed professional review signed by Fabryka IR&M Encyclopedia will be entirely permitted to use for your promotional and commercial purposes so that you can own it legally, and share worldwide (non-exclusive license; you must credit the reviewer and Fabryka IR&M Encyclopedia name). I'm fair to myself. I don't accept requests, and charge for reviews if your music does not fit my criteria, or if I don't like it. I would rather enjoy reviewing your music than host/promote a review with a bad rating. Preferred genres (guitar driven music): industrial rock and industrial metal releases, but also progressive metal, groove metal, hair metal, heavy metal, math metal, metalcore, djent and dark ambient music and eventually jazz/funky. Other music styles are not recommended due to lack of experience and my dislike for improvising. I don't wish to sign under a writing I'm not satisfied with. 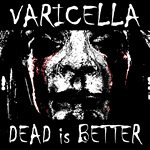 Please do not submit remixes, covers, live versions and hooks as well as not mastered demos. Short review applies to all types of releases and includes: careful listening, professional writing + additional English proofreading, a non-exclusive commercial license, publishing on a collective short reviews page in Fabryka IR&M Encyclopedia but no promotion is offered. PR interview - topics chosen by the artist, or my own. An online research for the artist's professional background, achievements. 5 to 10 original questions to fit into the artist's current promotional needs. An additional English proofreading. A non-exclusive commercial license, publishing on Fabryka IR&M Encyclopedia (16 years online) & affiliated blogs. See PAGE 2 for detailed information about above opportunities, and the reviewer.